The Southern Arkansas University 24th Annual Martin Luther King, Jr. Day Memorial March and Ceremony is scheduled to begin at 5 p.m. Monday, January 21, 2019. The March will begin at the former Miller’s Cafeteria on Vine Street at 5 p.m. and proceed down University Street to the SAU Reynolds Center. The Memorial Program will begin at around 5:30 p.m. in Foundation Hall. The community is encouraged to participate in the march and attend the ceremony. For more information, contact the Office of Multicultural Services at 870-235-4046. The Rev. Carlos Stuart, youth minister at the Antioch Missionary Baptist Church of Decatur, Illinois, will be the keynote speaker for the ceremony. Stuart is an experienced teacher and theologian. A satellite instructor for the Chicago Theological Institute, he teaches, among other courses, Systematic Theology. 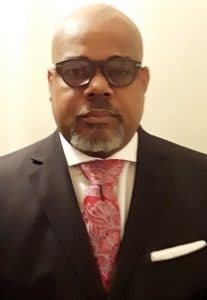 He has been an ordained minister for 15 years and is the former pastor of the Faith Covenant Tabernacle Baptist Church in Danville, Illinois. Stuart worked in television and radio advertising for more than 20 years. He is a certified radio marketing consultant and retired from radio as the sales manager of the No. 1 hip hop station in Central Illinois. He has experience as an online marketer, where he worked in website development in the area of new business. A veteran of Operation Desert Storm, Stuart served in the United States Army for more than 20 years. He has been married for 25 years to Tasha and together they have two children, CJ and Cydney. He is a minister, a husband, a father, and an educator, but most of all, he is a servant.